Michael Barbaro (@mbarbaro1994) previews Napoli v Roma and provides us with his best bets for Sunday night’s Serie A clash by analysing team news, potential line-ups, head-to-head, key stats and facts and more. Napoli and Roma face off on Monday in Serie A’s game of the round, after both squads put in impressive Champions League performances midweek. The Partenopei were unlucky on Wednesday as they were pegged back at the death by a Angel Di Maria screamer for a 2-2 draw with Paris Saint Germain. A win for Carlo Ancelotti’s men in this match is essential; they gained some vital ground on Juventus last week as The Old Lady was held 1-1 by Genoa while Napoli recorded a comfortable 3-0 victory over Udinese. They boast the league’s second-best attack with 18 goals scored already this season and come up against an inconsistent Roma who haven’t yet found consistency in Eusebio Di Francesco’s second year at the helm. Di Francesco is starting to find his rhythm in the Champions League. Under his tenure, they have not lost a game at the Stadio Olimpico in the competition, contrary to last week’s 2-0 home loss to SPAL. It was a horror evening for Roma, who before that had recorded three consecutive Serie A wins. Pressure is mounting on Roma as many fans have voiced their concerns with the management of the club. They are arguably in need of a win more than their opponents to keep in contention for a Champions League spot come years end. This match is bound to be a fiery one. Last season’s version of this fixture at the San Paolo ended in a 4-2 win for the Giallorossi after an Edin Dzeko brace put a dent in Napoli’s title hopes. These two teams have historically been fierce rivals; since 1928 they have competed in the Derby del Sole – the Derby of the Sun – as the teams are considered the most successful clubs from the southern end of the peninsula. Napoli will be without Faouzi Ghoulam, Alex Meret and Vlad Chiriches for the match as they are all injured. Roma themselves will be without a number of first-team players as Javier Pastore, Patrik Schick, Diego Perotti and Rick Karsdorp are all absent for the trip to Napoli. Roma are undefeated in Naples since 2014. Three of the past five meetings between the sides have seen more than 2.5 goals scored. I honestly can’t see Roma taking the spoils here. Napoli have been far too good under Carlo Ancelotti and I don’t expect much to change on Sunday night. Roma are struggling at the moment and it would take something special to get past their rivals this weekend. Napoli to win and both teams to score is currently at 23/10 at 888bet, fantastic odds considering both teams ability to attack. 24-year-old Australian AS Roma fan. 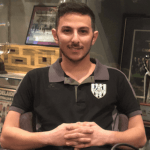 Media assistant at local side Adelaide City FC. University student in my final year of journalism. Huge fan of all things football. Specialise in Serie A.